ATLANTA, May 14, 2018 – Taylor English Decisions LLC, the business consulting and government strategies subsidiary of Taylor English Duma LLP, is pleased to announce that Todd Slinker will lead its Employee Benefits Consulting practice. Taylor English Decisions provides clients with guidance on improved and innovative business operations. Slinker is one of several additions announced in recent weeks. As a former national insurance carrier professional and most recently as a principal for the 10th largest privately owned commercial retail insurance brokerage firm, Slinker has a deep understanding of the cross-functional internal and external teams responsible for delivery and management of corporate employee benefits offerings. He works with businesses and senior management to ensure corporate advocacy and advance the benefits component of their corporate vision with their stakeholders, while mitigating costs. 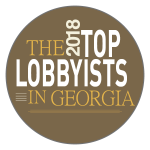 Slinker is a member of the Georgia Chamber Human Resources Council and previously served as a board member for the Human Resource Management Association. Slinker earned his undergraduate degree from the University of Georgia. Taylor English Decisions LLC is a purpose-built business consulting and government relations firm. On the business consulting side, the firm works with senior management to improve operating efficiencies. On the government affairs side, the firm assists its clients in understanding the complex and ever-changing nature of public policy. The firm’s goal is to better the relationships between businesses and governments on the federal, state and local levels. More information can be found on the firm’s website at www.tedecisions.com.